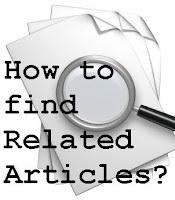 Home » Website tips and tricks » How to find related articles? Do you have original article \ post link with you and want to find similar article related to it? We have simple solution for this. 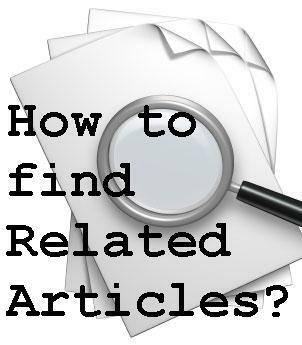 We will guide you with example to find related (similar) article. - Access Google Search page and past the article URL in it, this will open the link in Google Search. - Now move your cursor over the actual post URL link in it, doing this will help you see two arrows like this >> put your cursor on this arrows, now click a Similar link. - Clicking similar links would open all related articles list. - If you can't see similar link than this means Google can’t find related article for your article. Note: All articles may not have option to view similar article.